In a burst of vibrant color and activity, the 10th anniversary of the Alexandria King Street Art Festival transforms the city’s historic main street into a world-class outdoor art gallery on September 8 and 9, 2012. Alexandria is celebrating its place as a top 10 arts destination among mid-size cities in the nation, and the Alexandria Convention & Visitors Association is packing the party with extra 10-themed fun, including a Q-ART Code smart phone scavenger hunt with 10 stops for a chance to win a prize at the Torpedo Factory Art Center, and a 10 a.m. to 10 p.m. Saturday Drawing Marathon presented by The Art League. PLUS Howard Alan Events will be presenting an online giveaway of artwork by various artists who have exhibited in the show since its inception as well as a Festival Arts Giveaway during the art show. Howard Alan Events and the City of Alexandria are proud to produce Alexandria’s signature cultural festival. Discover spectacular paintings, life-size sculptures, jewelry, photography, ceramics and more. This popular outdoor, community festival will feature art for every taste. More than $15 million in art will be on display and visitors will have the opportunity to meet the artists behind the work and hear first-hand what inspires them. With hundreds of submissions, this show features artists known for quality and originality. The show stretches all the way down the street to the Potomac River. 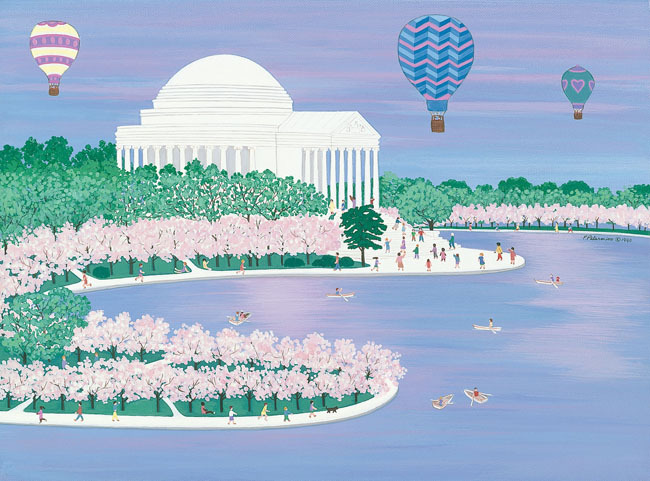 Local arts organizations will present the Alexandria Art Experience, with artist-led, hands-on, creative activities and a fun ceramics fundraiser. If you can’t make it out to the Festival this weekend, then please visit me one of the Farmers’ Market Saturdays in Old Town, or visit my online studio. I know that holiday shopping is right around the corner, and I have some wonderful, whimsical American folk art to show you!